Like most of our Toronto Invisalign patients, this is the appointment I was a little nervous and excited about. 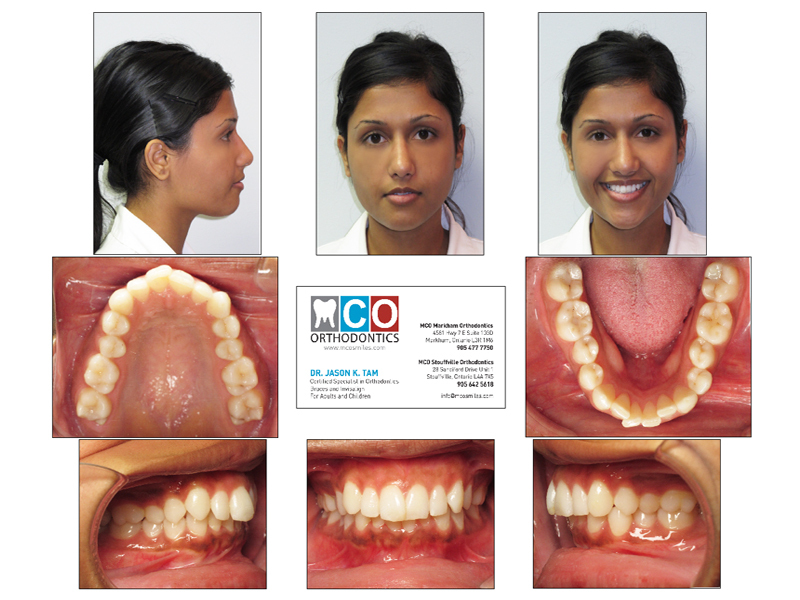 It began with a series of eight pictures, which included some exterior facial shots and some images of my teeth. Following this, a digital panorex and cephalogram x-ray was taken. I then made my way to the consult room to hear about my orthodontic options. Dr. Tam was very thorough about his treatment plan for me. I have to say, I was pleasantly surprised to hear I was a good candidate for invisalign. When I inquired about invisalign in the past, I was told that it wouldn't work for me. Due to the shortening of some of my roots, correcting my bite 100% may actually affect my teeth in a negative way. Dr. Tam advised me that this would be the case with invisalign or braces. Luckily, my priority is to correct the alignment of my teeth. After hearing the good news, I was over joyed with excitement like a kid in a candy store! Just below, I've posted my initial photos that were taken on the day of the consultation. I will continue to post photos and share my progress with all of you!